The Messiah of all Messiahs! 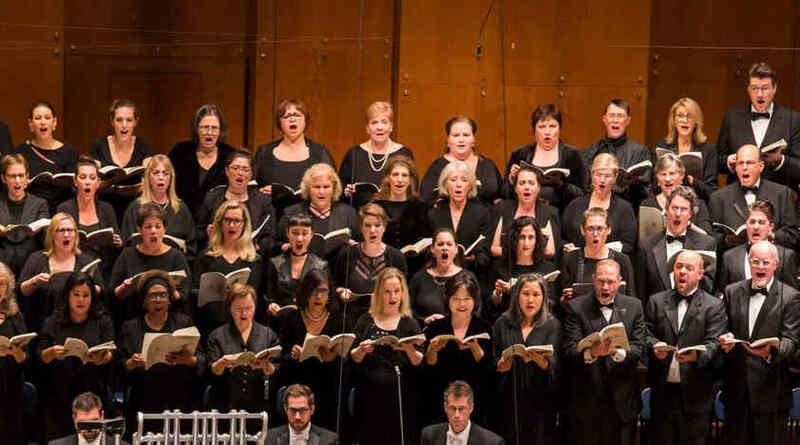 The New York Philharmonic’s Messiah is the must-see, must-hear holiday event. Every bar of Handel’s greatest masterpiece — whether upon first encounter or at a yearly ritual — speaks to us with passion, beauty, spirituality, and joy. Dazzling solos, instrumental fireworks, and the most glorious choral writing of all time never fail to thrill. Messiah represents the quintessential classical music highpoint of the Christmas season. Handel’s inspired setting of Biblical texts is a three-part meditation on the prophecy and fulfillment of God’s plan to redeem the world through a savior. Part I is filled with the joy of anticipation of that savior (epitomized in the jubilant chorus “Unto Us a Child is Born”). Part II reflects the sorrow and agony surrounding Christ’s passion and death, and the exultation of the resurrection, captured in the stirring “Hallelujah” chorus. Part III is a hymn of thanksgiving for the final defeat of death and for life eternal. 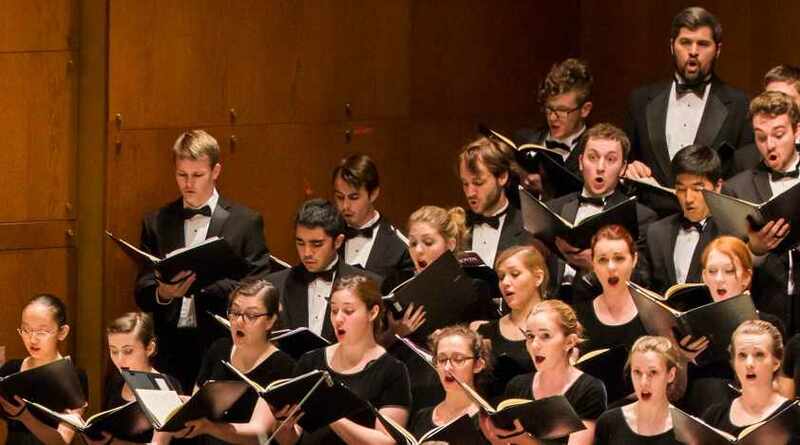 Among the many other highlights of the oratorio are the noble concluding chorus, “Worthy is the Lamb” and the final “Amen.” Messiah’s dazzling solos, firework-filled instrumental passages, and some of the most glorious choral writing of all time have made it the undisputed holiday favorite of concert halls and churches throughout the world. Jonathan Cohen has forged a remarkable career as a conductor, cellist, and keyboardist. 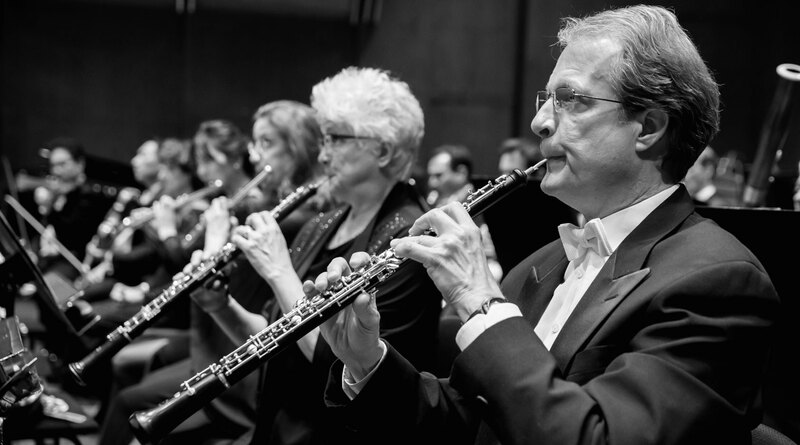 Well known for his passion and commitment to chamber music, Mr. Cohen is equally at home in such diverse activities as Baroque opera and Classical symphonic repertoire. He is founder and artistic director of Arcangelo, which strives to perform high-quality and specially created projects; music director of Les Violons du Roy; associate conductor of Les Arts Florissants; artistic director of the Tetbury Festival; and artistic partner of The Saint Paul Chamber Orchestra. In the 2018–19 season Mr. Cohen appears with the Orchestra of the Age of Enlightenment, The Saint Paul Chamber Orchestra, and Les Violons du Roy, and makes his debut with The Cleveland Orchestra, Mozarteum Orchester, Royal Northern Sinfonia, and BBC National Orchestra of Wales, as well as the New York Philharmonic. He also returns to the BBC Proms with Arcangelo for Handel’s Theodora. He has toured with Arcangelo to venues and festivals including London’s Wigmore Hall, Berlin Philharmonie, Cologne Philharmonie, Vienna’s Musikverein, Carnegie Hall, and the Salzburg Festival. Other recent highlights include a European tour with violinist Vilde Frang that included concerts at Oslo Opera House and Tonhalle Zurich, and a BBC Proms debut at the Sam Wanamaker Playhouse in 2016. Arcangelo has made numerous recordings on the Hyperion Records label. 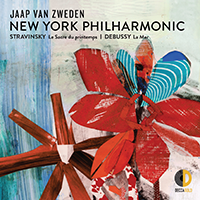 The ensemble’s recordings with countertenor Iestyn Davies received two Gramophone Awards: 2012 Recital category for Arias for Guadagni and 2017 Baroque Vocal category for J.S. Bach’s Cantatas Nos. 54, 82, and 170. Other recordings on the Hyperion label include collaborations with soprano Anna Prohaska and baritone Christopher Purves. Arcangelo’s 2015 Mozart CD with Vilde Frang on Warner Classics reached No. 1 in the UK specialist classical chart and received an Echo Klassik Concert Award. Recital recordings with both Christiane Karg (Scene!) and Matthew Rose (Arias for Benucci) were nominated for 2016 International Opera Awards. The recording of C.P.E. Bach’s Cello Concertos with Nicolas Altstaedt on Hyperion won the Concerto category at the BBC Music Magazine Awards in 2017, and the recording of Buxtehude Trio Sonatas, Op.1, for Alpha Classics received a Grammy nomination for Best Chamber Music / Small Ensemble Performance in 2018. Arcangelo’s most recent recordings, of Magnificats by members of the Bach family and Charpentier’s Leçons de ténèbres, are already attracting critical acclaim. Lauren Snouffer is recognized for her unique artistic curiosity in world-class performances spanning the music of Claudio Monteverdi and Johann Adolph Hasse through to Ligeti and George Benjamin. This season she appears in the title role of Berg’s Lulu in a new production at the Teatro Municipal de Santiago, conducted by Pedro-Pablo Prudencio and directed by Mariame Clément, and she returns to Houston Grand Opera for the World Premiere of The Phoenix by composer Tarik O’Regan and librettist John Caird. Other appearances on the international operatic stage include a new production of Handel’s Serse for the Internationale Händel-Festspiele Karlsruhe, directed by Max Emanuel Cencic and conducted by Georg Petrou, and the role of Magnolia Hawks in Francesca Zambello’s production of Kern & Hammerstein’s Show Boat for The Glimmerglass Festival. Highlights among her concert stage appearances include Bernstein’s Candide with the Seoul Philharmonic Orchestra; a concert featuring works by Haydn and Mozart with Bernard Labadie and Orchestra of St. Luke’s at Carnegie Hall; Handel’s Messiah with The Cleveland Orchestra and National Arts Centre Orchestra, as well as the New York Philharmonic; and a program of music by J.S. Bach and Couperin with Ars Lyrica Houston. Lauren Snouffer has collaborated with many of the world’s most distinguished conductors and orchestras, including Franz Welser-Möst and The Cleveland Orchestra, Alan Gilbert and the New York Philharmonic, Cristian Măcelaru and the Rotterdam Philharmonic, Krzysztof Urbański and the Indianapolis Symphony Orchestra, Markus Stenz and the Baltimore Symphony Orchestra, and Marin Alsop and the Orquestra Sinfônica do Estado de São Paulo. Countertenor Anthony Roth Costanzo began performing professionally at the age of 11 and has since appeared in opera, concert, recital, film, and on Broadway. This season he produces and stars in Glass / Handel, an operatic art installation, at Opera Philadelphia’s O18 Festival and in subsequent co-presentations in New York, by National Sawdust and The Cathedral Church of Saint John the Divine. He returns to English National Opera in his acclaimed performance of the title role in Philip Glass’s Akhnaten. He also appears in concert with the New York Philharmonic, Les Violons du Roy (in eight cities), Philharmonia Baroque at Lincoln Center, Boston Baroque, Mercury, and the NDR Elbphilharmonie Orchestra, and in recital for Celebrity Series of Boston. Mr. Costanzo has appeared with many of the world’s leading opera houses, including The Metropolitan Opera, Lyric Opera of Chicago, San Francisco Opera, Los Angeles Opera, Houston Grand Opera, Canadian Opera Company, Glyndebourne Opera Festival, English National Opera, and Teatro Real in Madrid. 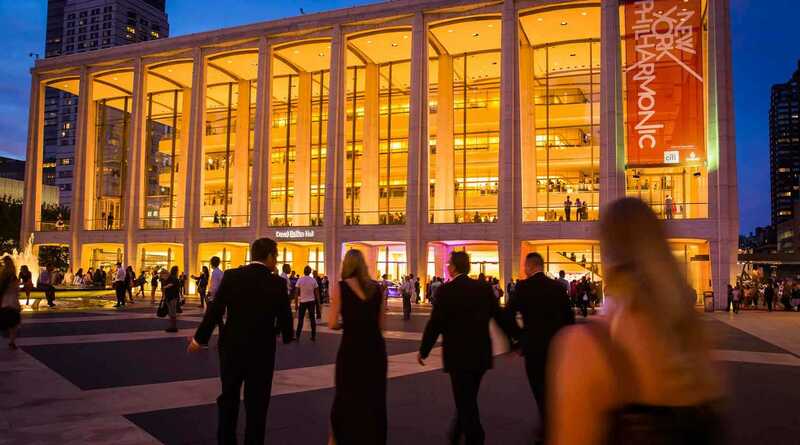 In concert he has appeared with the New York Philharmonic, San Francisco Symphony, London Symphony Orchestra, and the Berlin Philharmonic, and at both Carnegie Hall and the Kennedy Center. Mr. Costanzo is an exclusive recording artist with Decca Gold; his first album, ARC: Glass/Handel — a collection of arias by Handel and Phillip Glass with Les Violons du Roy — was released in September 2018. Andrew Staples, one of the most versatile tenors of his generation, regularly sings with Simon Rattle, Daniel Harding, and Yannick Nézet-Séguin, and with the Berlin Philharmonic, Vienna Philharmonic, Swedish Radio Orchestra, Bavarian Radio Symphony Orchestra, Rotterdam Philharmonic Orchestra, The Philadelphia Orchestra, Orchestre de Paris, Orchestra dell’Accademia Nazionale di Santa Cecilia, and London Symphony Orchestra (LSO). Mr. Staples made his debut at The Royal Opera, Covent Garden, as Jacquino in Beethoven’s Fidelio, and returned as Flamand in Richard Strauss’s Capriccio, Tamino in Mozart’s The Magic Flute, Artabenes in Arne’s Artaxerxes, and Narraboth in Richard Strauss’s Salome. He sang Belfiore in Mozart’s La finta giardiniera for Prague’s National Theatre and Brussels’s Théâtre Royal de Monnaie; Don Ottavio in Mozart’s Don Giovanni for the Salzburg festival; and Tamino for the Lucerne Festival, Drottningholm (with Harding), and Lyric Opera of Chicago. Engagements this season include Froh in Wagner’s Das Rheingold and Tichon in Janáček’s Kátyá Kabanová for The Royal Opera; J.S. Bach’s St. John Passion on a European tour with the Orchestra of the Age of Enlightenment; Britten’s War Requiem on tour with the Orchestre de Paris, and concerts with the Swedish Radio Symphony Orchestra, BBC Philharmonic, and Berlin Philharmonic, in addition to the New York Philharmonic. He also makes debuts at the Deutsche Staatsoper Berlin and The Metropolitan Opera. Andrew Staples’s discography includes Britten’s Billy Budd with Harding and the LSO, Schumann’s Paradise and the Peri with the LSO and Rattle (on the LSO Live label), Handel’s Messiah with Le Concert d’Astrée and Emmanuelle Haïm (Erato / Warner Classics), Schumann’s Scenes from Goethe’s Faust with the Bavarian Radio Symphony Orchestra and Harding (BR Klassik), and Stravinsky’s Perséphone with the Finnish National Opera and Esa-Pekka Salonen (Pentatone). Bass-baritone Neal Davies studied at King’s College, London, and the Royal Academy of Music, and won the Lieder Prize at the 1991 Cardiff Singer of the World Competition. He has been a regular guest at English National Opera, Welsh National Opera, Edinburgh Festival, and BBC Proms, and has performed with the Royal Opera House, Covent Garden, in addition to Scottish Opera, Garsington Opera, Deutsche Staatsoper Berlin, Opera di Roma, and Lyric Opera of Chicago. In concert he has sung with the world’s leading orchestras under Ivor Bolton, Pierre Boulez, Frans Brüggen, Christoph von Dohnányi, Mark Elder, Edward Gardner, Daniel Harding, Nikolaus Harnoncourt, Mariss Jansons, Paul McCreesh, Juanjo Mena, John Storgårds, and David Zinman. Mr. Davies appears on the DVD of the Aix-en-Provence Festival production of Charpentier’s David et Jonathas, performed in Aix, Edinburgh, and New York with William Christie and Les Arts Florissants. His wide discography also includes Handel’s Messiah, Theodora, and Saul, and Haydn’s Creation (2008 Gramophone Award) led by Paul McCreesh; Janáček’s Jenůfa and The Makropulos Affair with Charles Mackerras; Barber’s Vanessa with Leonard Slatkin; Messiah with René Jacobs; Hyperion Complete Schubert Edition with Graham Johnson; and Britten’s Billy Budd with the London Symphony Orchestra and Daniel Harding (2010 Grammy Award). Recent engagements include returns to English National Opera as Garibaldo in Handel’s Rodelinda and Deutsche Staatsoper Berlin for Purcell’s King Arthur, and concert appearances with Gardner at the Edinburgh Festival (Creation) and BBC Proms (Vaughan Williams’s Dona nobis pacem), with David Afkham and the Spanish National Orchestra, and with Mark Elder conducting the Hallé Orchestra. Concert highlights for the 2018–19 season include appearances with Les Violons du Roy and The Philadelphia Orchestra conducted by Bernard Labadie, the New York Philharmonic with Jonathan Cohen, Bach Collegium Japan with Masaaki Suzuki, and Music of the Baroque with Jane Glover.